Whether you've got a grown Cockapoo or a brand new puppy of the same type it's always a good idea to dish up good, quality nutrition to improve and sustain lasting health. Below you'll find some foods we've selected based on criteria that is important to the well-being of your Cockapoo. Despite it’s strange-sounding name, the Cockapoo is one of the most popular mixed-breed dogs in the United States. This breed is known for its outgoing, friendly personality as well as its low-shedding coat. This breed gets along very well with children, other dogs, and even cats – it is quick to make friends and never known to show aggression. Because there are a number of different breeds involved in the pedigree for the Cockapoo, this dog comes in a range of different sizes. The Cockapoo is a mixed breed that may appear in a variety of different sizes according to various breeding factors. For one thing, there are two different types of Cocker Spaniel – the American Cocker Spaniel and the English Cocker Spaniel. The English Cocker Spaniel is the slightly larger of the two. Another factor to consider is that the Poodle comes in three different sizes – Toy, Miniature, and Standard. In most cases, Cockapoos are bred from Toy Poodles or Miniature Poodles. One of the most important dietary considerations to take into account for any dog breed is size. Unfortunately, this gets a bit tricky with the Cockapoo since this breed comes in a wide range of sizes. The Cocker Spaniel ranges from 14 to 17 inches in size and weighs between 25 and 34 pounds. Toy Poodles, the smallest of the Poodle varieties, stand 10 inches tall or less and weigh between 7 and 10 pounds. Miniature Poodles stand 10 to 15 inches tall and weigh 15 to 17 pounds. Standard Poodles are the largest, standing 15 inches tall or more and weighing 40 to 55 pounds. That puts the Cockapoo somewhere between 10 and 15 inches, on average, with a weight range between 10 and 40 pounds. Because the Cockapoo is a mixed breed, it is difficult to make predictions about things like size, build, and activity level. For the most part, however, the Cockapoo is a moderately energetic breed of small to medium size. While you might assume that small dogs need less food than larger dogs, it isn’t quite that simple. Small-breed dogs have very fast metabolisms which means that they burn through energy at a higher rate than large-breed dogs. This being the case, a small dog like a Cockapoo might need less food (and calories) per day than a large dog, but the Cockapoo will need more calories per pound of bodyweight to sustain his metabolism at a healthy rate. 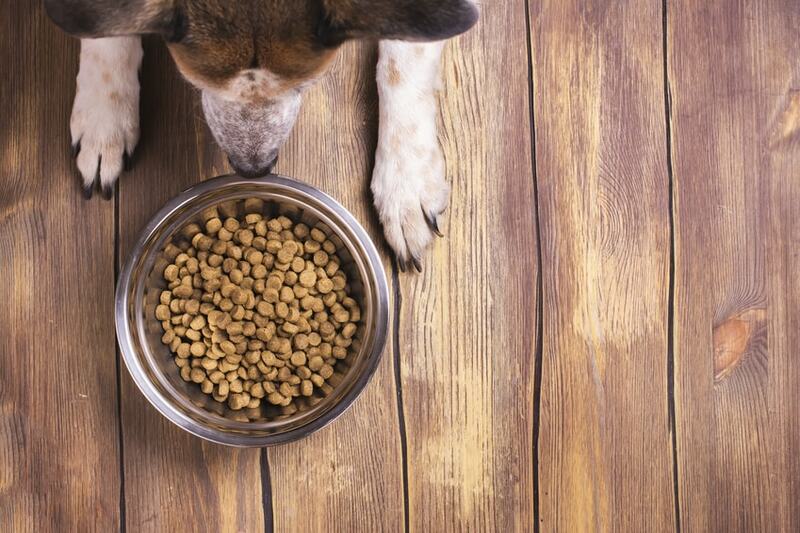 Most small-breed dog food formulas have higher levels of protein and fat to meet this need. Another dietary consideration you may want to factor in with your Cockapoo is the potential for food allergies – this is largely due to their Poodle genetics. Any dog can develop a food allergy or sensitivity, but it seems to be more common in some breeds than others – this goes for the Poodle. It is also unfortunate that a dog can develop a food allergy at any time, particularly with frequent exposure to a specific ingredient. Some of the ingredients that are most likely to trigger food allergies in your Cockapoo include grains like corn and wheat as well as common proteins like chicken, beef, and fish. If you want to protect your Cockapoo from food allergies, you might want to choose a grain-free dog food. If he has already developed allergies, consider a Limited Ingredient Diet (LID) made with a novel source of protein and carbohydrate. Feeding your dog an LID for 12 weeks should be enough to resolve any lingering symptoms related to his allergy. At that point you can switch to a diet free from the offending allergen or simply keep feeding him the LID. The Wellness brand of dog food is committed to a holistic approach to pet nutrition, ensuring that each of their recipes is made with the highest-quality ingredients available. Wellness understands that proper nutrition is the foundation for the wellbeing of all pets, including your Cockapoo. If you are looking for a grain-free dog food formulated specifically for small-breed dogs, this Wellness CORE Grain-Free Adult Dog Food is a great option to consider. Packed with protein and naturally grain-free, this recipe provides for your Cockapoo’s high energy needs as well as his needs for premium-quality protein. It is completely free from corn, wheat, and soy ingredients as well as byproducts and fillers. This recipe contains a whopping 36% crude protein with 16% fat and just 5% dietary fiber, making it a great option for your dog. Simply put, it will give your dog the quality nutrition he deserves and the natural flavor he loves. Natural Balance is a premium pet food company that is dedicated to providing pets and their owners with “Food for a Lifetime”. This company designs each of their recipes according to sound scientific principles and nutritional truths, so you can rest assured that this Natural Balance LID Lamb & Rice Small-Breed Dog Food won’t just meet your Cockapoo’s nutritional needs – it will exceed them. This particular recipe is made with protein-rich lamb meal, a highly-concentrated source of animal protein. It is supplemented with easily digestible brown rice and white rice plus supplementary fiber to support your dog’s healthy and regular digestion. This formula is also a Limited Ingredient Diet which means it is made with a limited number of primary ingredients, reducing the risk for triggering your Cockapoo’s food allergies or sensitivities. It is also packed with healthy fats to keep your dog’s coat shiny and his skin healthy. If you are concerned that your dog might have a grain allergy or sensitivity, Natural Balance also offers other Limited Ingredient Diets made without grains. For example, there is another small-breed formula that features duck as the main protein and potato for grain-free carbohydrate. If you want the best for your Cockapoo, Castor & Pollux is a brand you should definitely consider. This brand is the leader in organic and natural pet food, so you can feel good about feeding your dog any of Castor & Pollux’s delicious recipes. The Organix line of pet foods is made with a wide range of organic ingredients and produced in certified-organic kitchens to ensure maximum quality and uncompromised safety. This Castor & Pollux Organix Grain-Free Adult Small Breed Dog Food is an example of the brand’s grain-free options made with both salmon and chicken meal for a high-protein, energy-packed formula. This recipe is supplemented with organic peas, organic tapioca, and organic garbanzo beans – three high-quality, gluten-free and grain-free carbohydrates. You’ll also be glad to know that this recipe is free from corn, wheat, and soy ingredients as well as artificial colors, flavors, and preservatives. Only the best for your beloved Cockapoo! Starting your Cockapoo puppy off with a high-quality diet is essential for his long-term health and wellness – that is why Blue Buffalo is such a great choice. Widely known as a leader in the natural pet food industry, Blue Buffalo offers a wide variety of dog food products, including many size-specific options like this Blue Buffalo Life Protection Formula Small-Breed Chicken and Oatmeal Puppy Food. This recipe features protein-rich, deboned chicken as the primary protein with plenty of wholesome whole grains, veggies, and fresh fruits for nutritional balance. As is true for all Blue Buffalo products, this formula is also supplemented with Blue’s LifeSource Bits – these are made with a proprietary blend of vitamins, minerals, and antioxidants to support your puppy’s whole-body health from the very start. Plus, because this is a small-breed formula, you can rest assured that it will provide your Cockapoo puppy with the protein and energy he needs to grow up strong. That’s all you can really ask for in a puppy food. The key to maximizing your Cockapoo’s longevity is to feed him a high-quality, healthy diet. 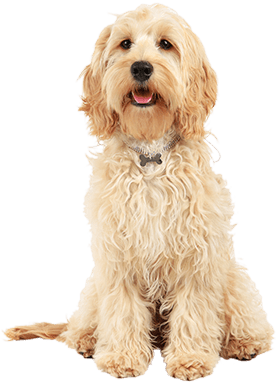 Taking what you’ve learned about the nutritional requirements of dogs and the unique dietary considerations for this breed, you are ready to set out on your own in shopping for the best Cockapoo dog food. If you need a little help getting started, keep the brands reviewed above in mind. Hi Kate, i have a 14yrold Cockapoo she is in great health and has been on Blue Buffalo all her life,my concern is that company has been having a lot of negative exposure the last few years. I have been battling on changing her food. She does have the typical Cockapoo allergies like chewing on her feet and constant ear infections. Any advise will be so appreciated. I would spray the inside of her ears with silver colloidal this is very effective. Research on the internet. What is your recommendation for a cockapoo diet based on the new information regarding the danger of grain-free diets? I HAVE A 9 YO COCKAPOO THAT HAS TYPICAL ALLERGY SYMPTOMS-CHEWING PAWS AND EAR INFECTIONS. NOW SHE ALSO HAS A HISTORY OF PANCREATITIS. SO I NOW NEED A LID DIET THAT IS ALSO LOW FAT. AND I AM STRUGGLING TO HELP HER LOSE WEIGHT. ANY SUGGESTIONS? Hi my cockerpoo is 15 months old, will not eat the puppy food I started with now at all. Tried a lot of foods. Some he will eat it all and not eat any of the same the next day. Some he eats for 4/5 days then not touch it again. Wot do u suggest? Iv tried wet and dry.